One of my favorite things about this time of year is the abundance of blackberries. I adore these juicy little gems. Blackberry seasons in full swing and LJ has been out picking a bumper crop for me daily and freezing them for future use. Have I told you how much I love that boy, he's great about helping out when I need him and guilting his brother and sister into helping him. He even went out early the other morning to come home with fresh Blackberries to make these Blackberry Crumb Bars that are out of this world. 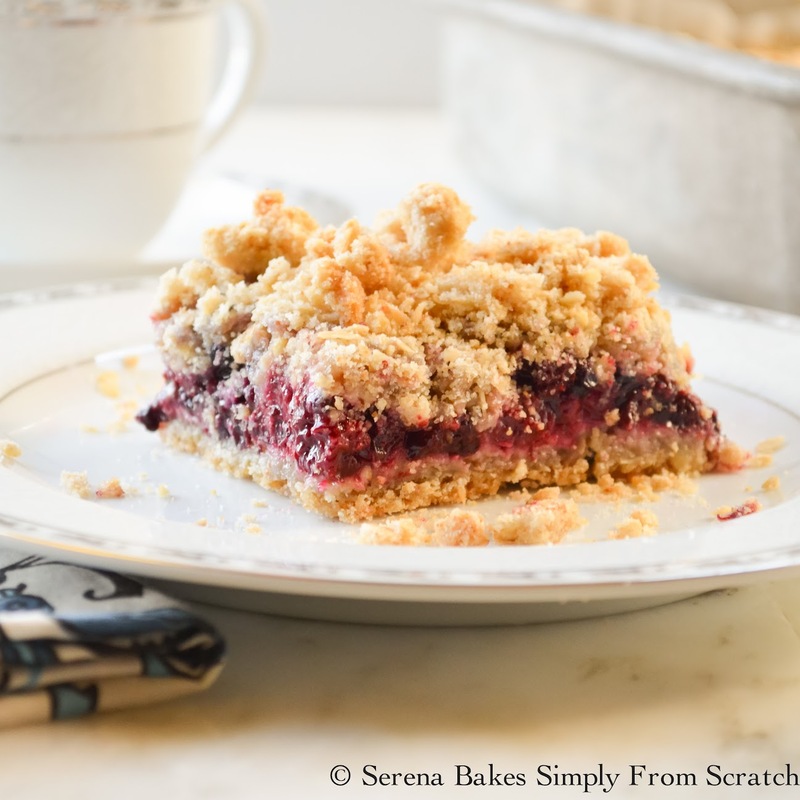 Who can pass on a crunchy layer of pressed crumb filled with blackberry filling and then a crunchy crumb topping? Totally worth a face plant into the pan. They are amazing plain but a scoop of vanilla ice cream makes them an extra special treat. Be prepared.. I'm pretty sure more blackberry recipes are on the way with the way my kids been picking! 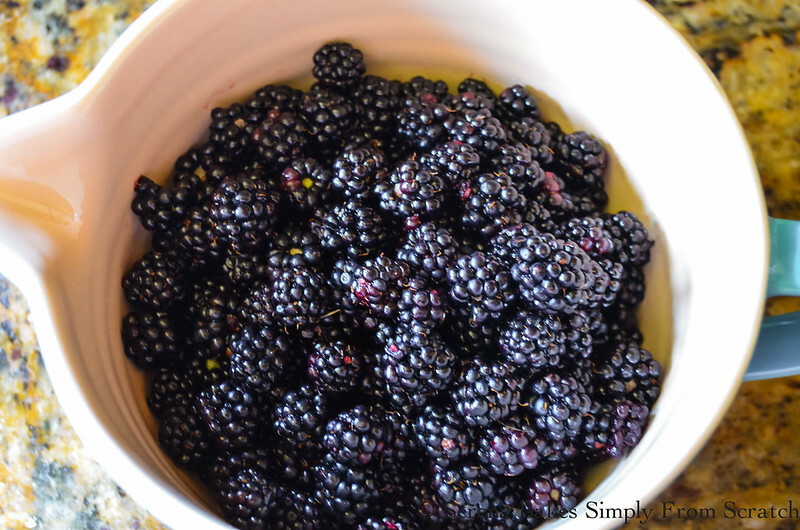 Measure 5 cups Blackberries, fresh or frozen. Add 1/4 cup Granulated Sugar and 3 tablespoons Flour. Mix until well combined. I used whole wheat pastry flour for this recipe but all-purpose works too. In a large bowl stir together 2 1/3 cup Flour, 2 1/3 cup Oatmeal, 1 teaspoon Sea Salt, 2 teaspoons Baking Powder, 1 cup Brown Sugar, 1 cup Granulated Sugar until well combined. 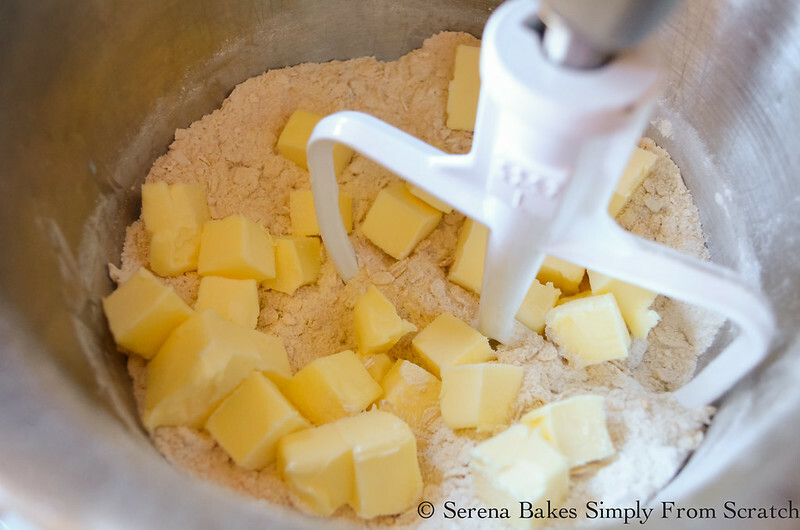 Add 1 cup cubed cold butter and mix until combined and crumbly. Crust should be looking all crumblylicious like this. It's also a little addicting uncooked so you may or may not want to try a taste or two or three but try not to eat it all, belly aches are no fun! 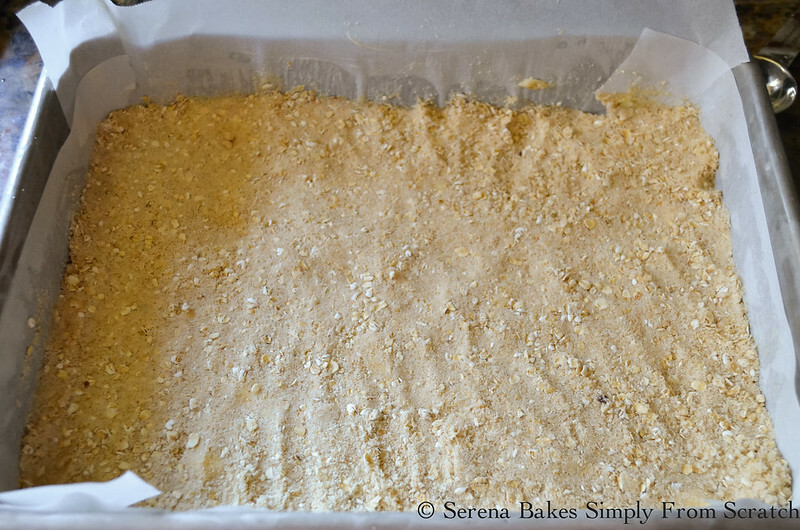 Press half the crumb mixture into the bottom of a 9x13 pan that's buttered well. For ease of removal line with parchment paper and butter parchment paper, then the bars can easily be removed from pan and cut neatly. Spread blackberries evenly over crumb mixture. Press remaining crumbs between fingers and evenly distribute them over the top of blackberries. Bake in a 350 degree oven for 45-50 minutes, top will be lightly browned. And a few with a big ol' scoop of vanilla ice cream. 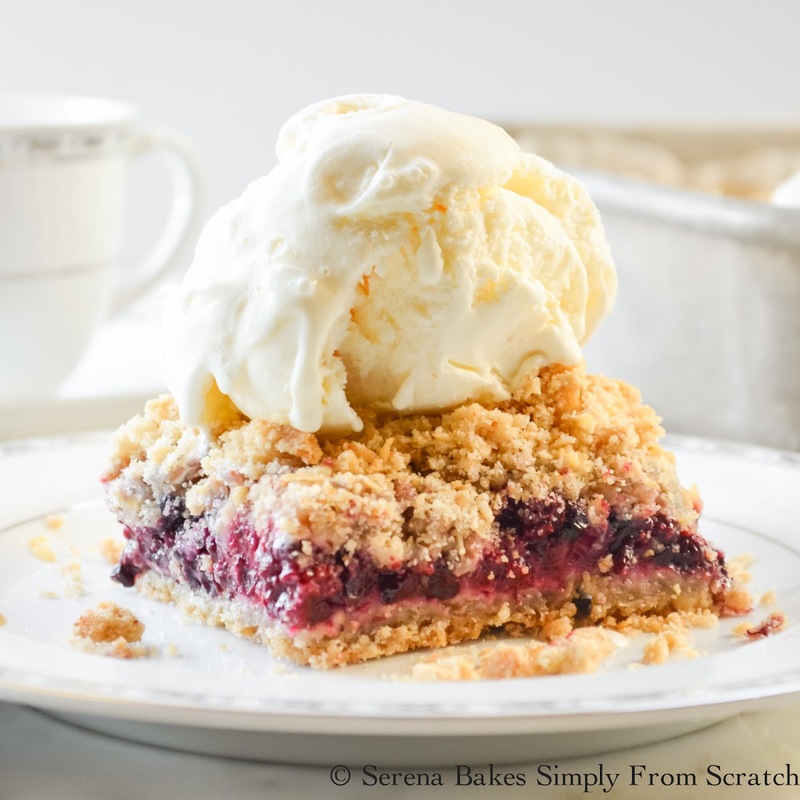 Blackberry Crumb Bars are easy to make and a guaranteed hit. Butter a 9"x13" pan. For easy removal line pan with parchment paper, and butter parchment paper. 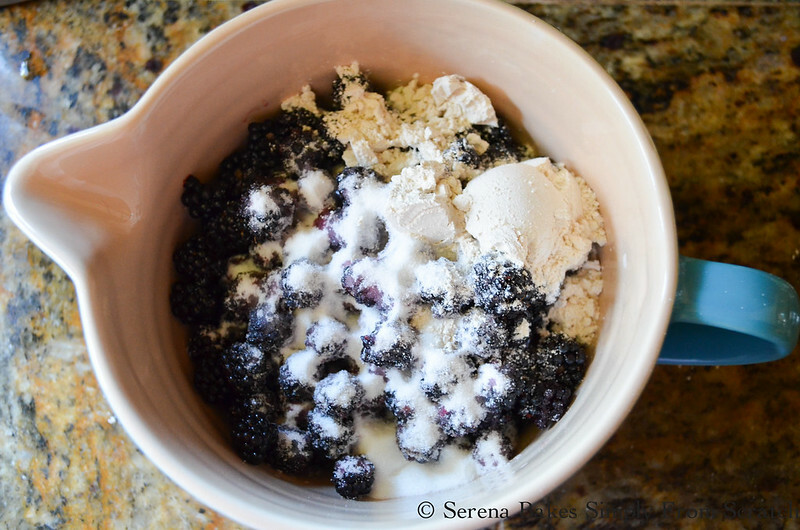 In a medium sized bowl combine blackberries, 1/4 cup granulated sugar, and 3 tablespoon flour. Toss until coated, and set aside. 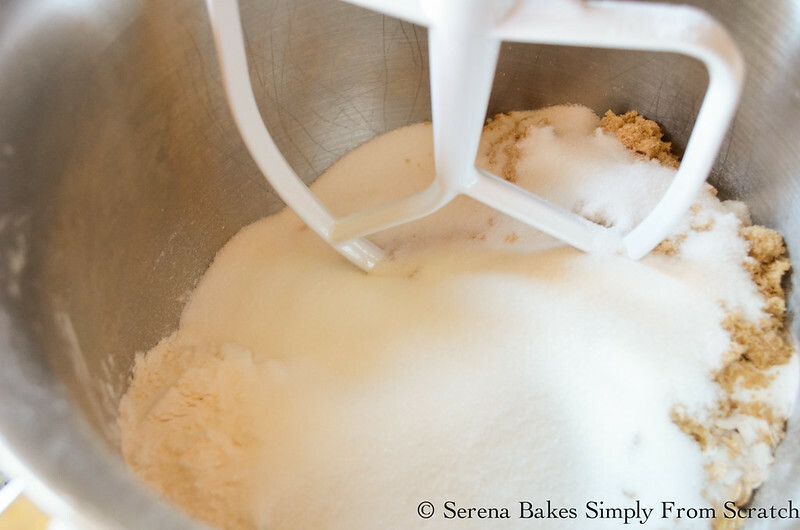 In a large bowl or mixer stir together oatmeal, flour, sea salt, baking powder, brown sugar, and granulated sugar. Add cubed butter. 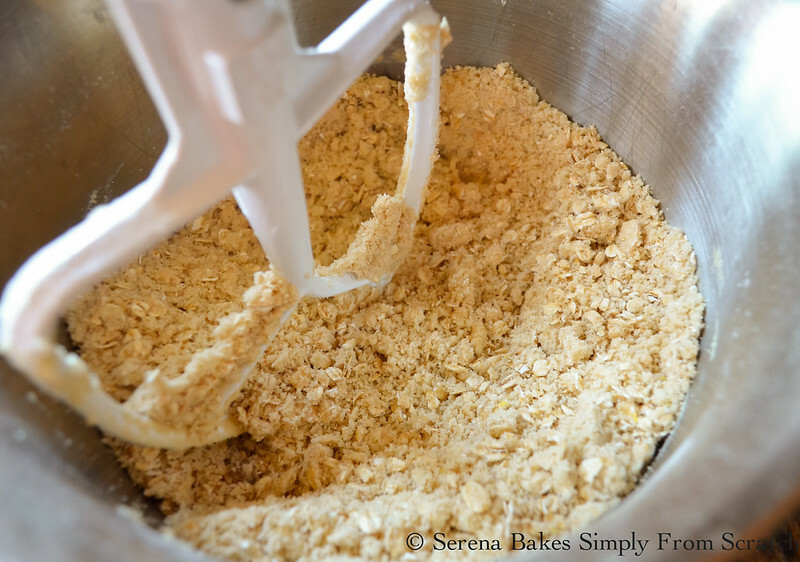 Mix until crumbly, and well combined. 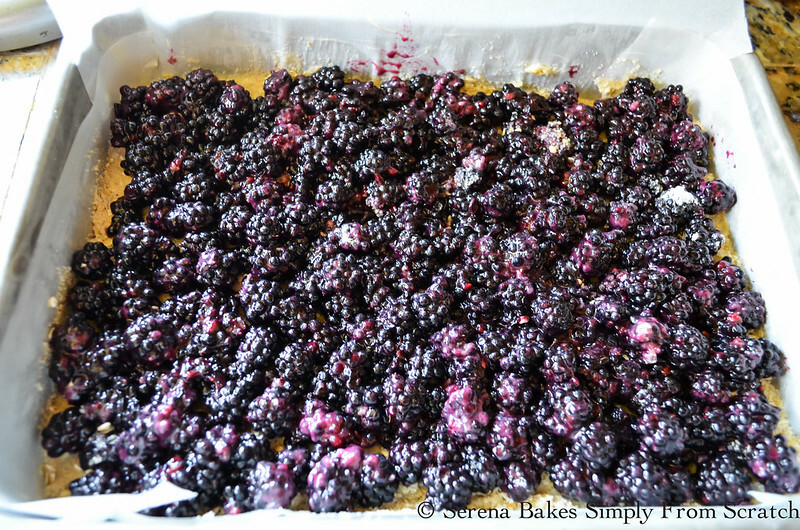 Press half of the crumb mixture into the bottom of prepared pan, and cover evenly with blackberries. Press remaining crumb mixture between fingers, and distribute evenly over the top of the blackberries. Bake for 45-50 minutes until lightly browned. Delicious I am sharing in the facebook. love it. Looks so good and so simple. Can't wait to test it! Thanks for sharing. Crumb bars are one of the best ways to enjoy fresh summer berries! Love these! I love blackberries, and your recipe looks delicious! I plan to bake these soon. Your blackberry crumb bars are just beautiful! This is one sweet recipe to keep! anything with blackberries I love! hope you're doing very well! 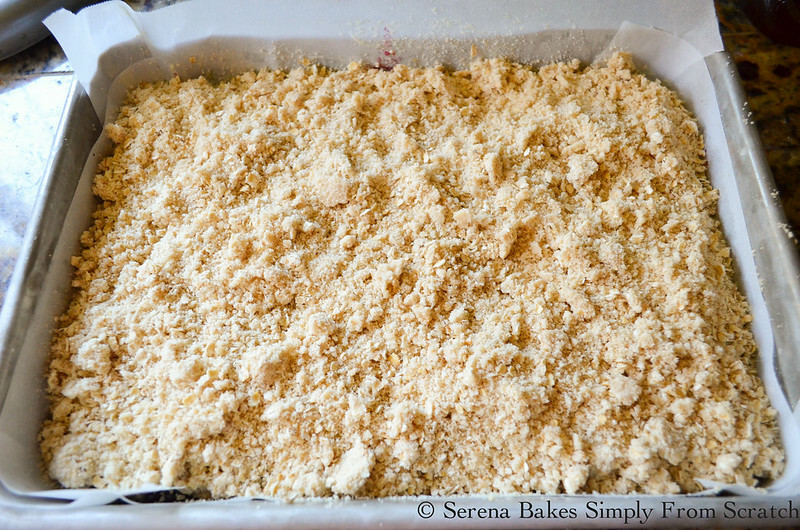 These pictures are making my mouth water even though it's early morning - now I want crumb bars for breakfast!